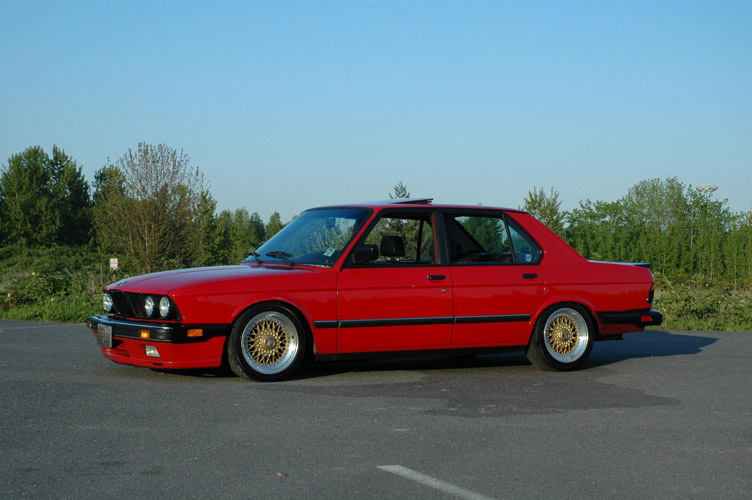 This BMW 535is E28 is lowered with Ground Control Coilovers with Koni Yellows on 16″ Gold BBS RS wheels. The BBS RS Wheels are wrapped in 205/45/16 front and & 225/45/16 rear Yokohama Avs ES100 tires. 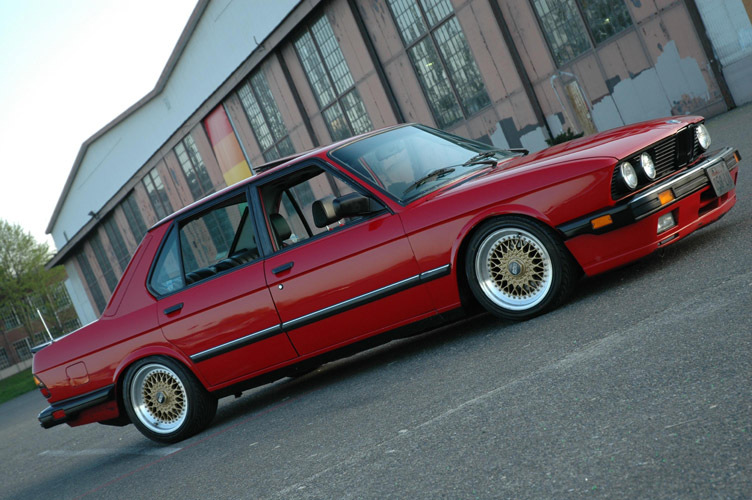 This E28 also has a B&B Tri-Flow exhaust.